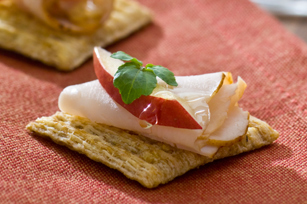 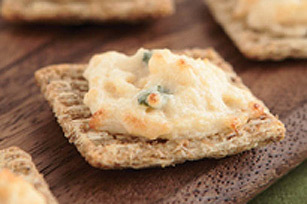 Makes 1 serving, 5 topped crackers (22 g). 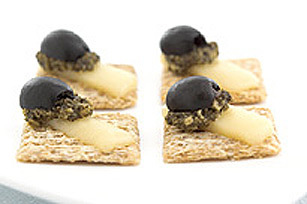 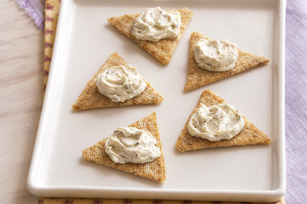 Mix cream cheese spread and pesto; spread onto crackers. 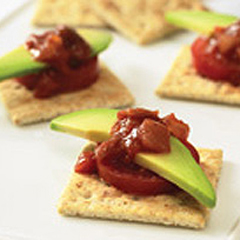 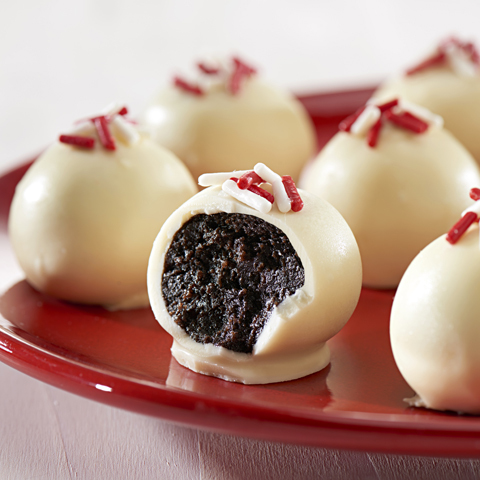 Special ExtraGarnish with chopped sundried tomatoes.